The Korg CM-300 contact microphone can be mounted directly on the beaker of a brass instrument, on the bridge of a string instrument or on a guitar or ukulele. The piezo pickup picks up the vibrations of the instrument and transmits them directly to the connected tuner. The CM-300 proves to be indispensable in a noisy environment with strong background noise, e.g. in ensembles or orchestras. 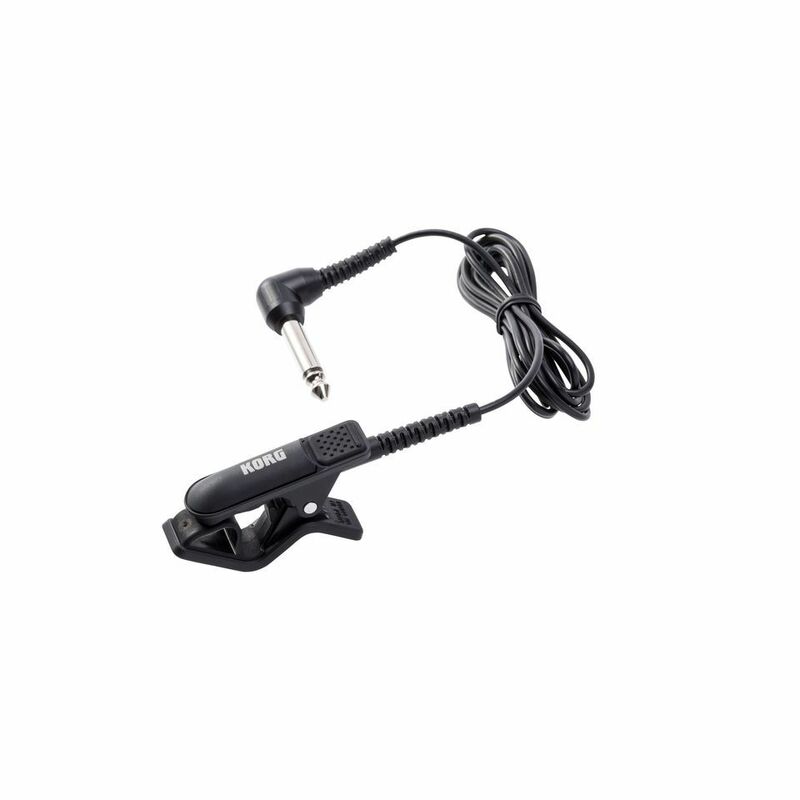 Compared to its predecessor, the Korg CM-300 contact microphone has a revised cable strain relief and optimized signal transmission.